Share this podcast with ONE other A&P colleague before the next episode arrives. Yes, I do accept late homework. Have questions, comments, stories, or ideas related to accommodating student needs? Pass them along for a future episode focused on this topic. New information about how memories form at synapses in the hippocampus tells us that netrin-1 is involved. (Click on the image to see details (you can use this image in your teaching, if you dare). This diagram is licensed under a Creative Commons Attribution-NonCommercial-ShareAlike 4.0 International License. Kevin's experience in zoos, circuses, and on safari in Africa form the basis of some elephant stories he tells in his A&P courses to emphasize some concepts of the integumentary system. 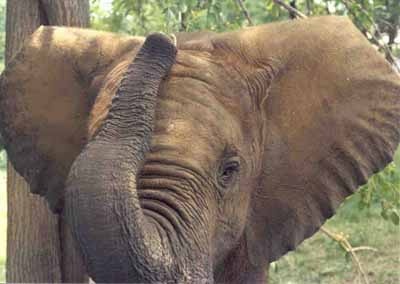 In this episode, he shares some elephant research updates, then goes into how elephant skin can help us better understand the thermoregulatory function of human skin. 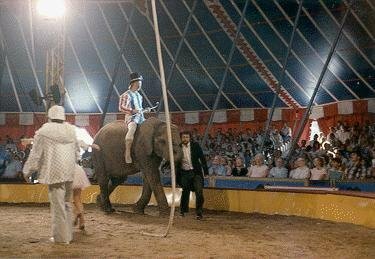 The images show Kevin (on ground in dark suit) and his elephant friend Flora, the retired namesake of Circus Flora. 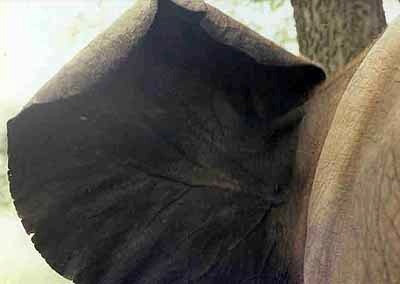 The anterior and posterior sides of Flora's ears pictured are referred to in Kevin' stories (you may use these images in your teaching with attribution). These photos are licensed under a Creative Commons Attribution-NonCommercial-ShareAlike 4.0 International License.